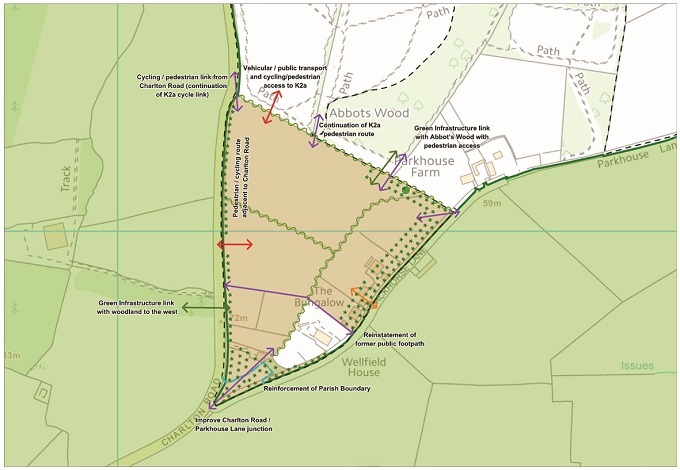 As part of ongoing efforts to have its Core Strategy ratified, Bath & North East Somerset Council has been holding public exhibitions as part of a consultation over redrawing the Green Belt boundary around parts of Keynsham, Whitchurch and Bath. 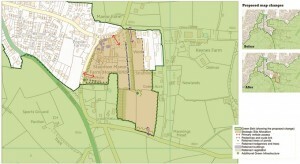 In February, the council identified five areas where land could be taken out of Green Belt regulation to allow for up to 1,870 additional houses, on top of the planned 10,800 to be built by 2029. Now, to address continuing concerns expressed by the Government inspector over future housing delivery in the district, the process has begun to confirm the precise parcels of land which will be affected. The Core Strategy is effectively the economic blueprint for the area for the next 15 years against which future planning applications are considered. Without a local plan in place which is agreed by the Government, the financial and social implications for B&NES Council are severe and the current process has already suffered suspension and delays. East of Keynsham. Land in pink is ‘safeguarded’ for development post 2029. The council is currently embarked on a six-week public consultation exercise over sites identified on the east and south west sides of Keynsham, as well as Whitchurch village. On the east of Keynsham, the preferred site has been identified on the south of the A4, between Harding Place and Teviot Road, for up to 250 houses. 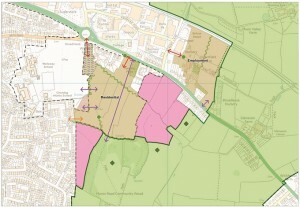 On the other side of the A4, land on either side of Worlds End Lane has been identified for development for employment. This choice would suggest that the ambitious proposals put forward by the River Regeneration Trust for the Broadmead Peninsula, which we highlighted in Issue 290 (10th October) have been overlooked. 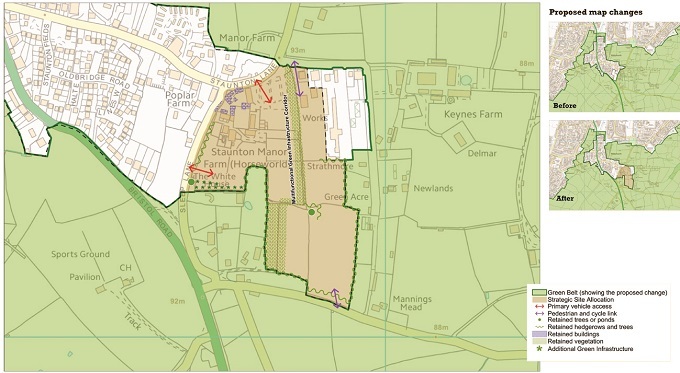 Also of note is that two parcels of land on the south of the A4 and between Minsmere Road and the community woodland have been ‘safeguarded’ for future housing needs, post 2029. 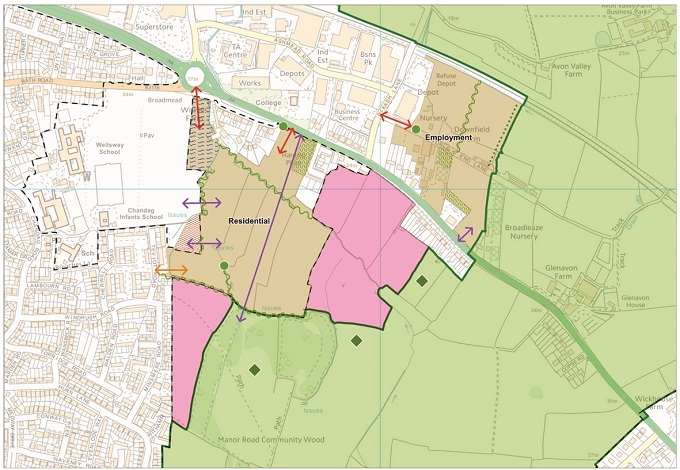 In south west Keynsham, the proposal is to extend the forthcoming K2A development on Charlton Road as far as the junction with Parkhouse Lane to provide an extra 200 homes. 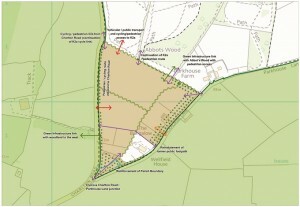 In Whitchurch, as we have prviously, land has to be found for an extra 200 homes and a large part of the strategic site identified incorporates the HorseWorld visitor centre – the very land on which B&NES Development Control Committee refused planning permission for 125 houses last week. The public consultation runs until 20th December and comments received will be considered by the Government inspector. You can see more at www.bathnes.gov.uk/corestrategy or visit the One Stop Shop at Riverside in Keynsham. Meanwhile, there is better news in South Gloucestershire when it was confirmed last week that the council’s Core Strategy has been agreed by the inspector. The plan will see an extra 28,000 homes built in the district by 2027 but also reaffirms the Green Belt boundary on the east side of Kingswood. 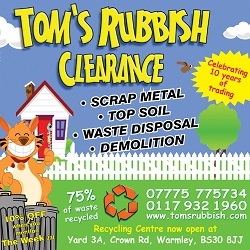 Recent years have witnessed a number of speculative planning applications around Warmley, Longwell Green and Oldland Common. The plan also includes the creation of three enterprise areas to stimulate employment, one of which is located at Emersons Green. South Gloucestershire Council will formally adopt the plan at its next full meeting on 11th December.